Press nights often create the headlines (after all you need a press night in order to have press reviews. Or do you? More about this later), but in the past week press nights ARE in the headlines: Twelfth Night started previews at the Globe, or more accurately started its Globe performances that function as a preview run before the official opening at the Apollo Theatre in November. None of the Globe performances are for the press and the expectation was, at least on the part of the producers, that the production will be reviewed for the first time at the Apollo. 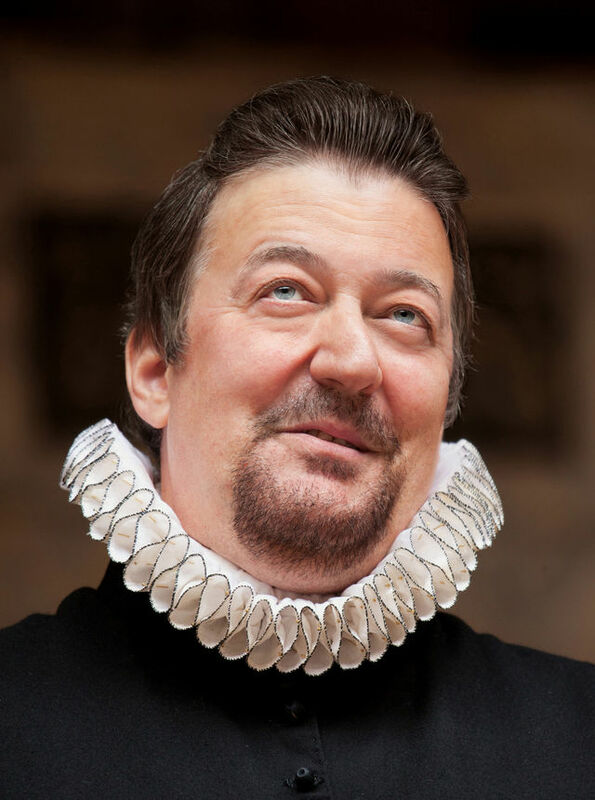 It didn’t quite work out that way: the Telegraph prominently run a review under the headline “Stephen Fry in Twelfth Night – First Review” and the Times followed suit a few days later. Both five star reviews I might add, but the producers are not happy: they protest these reviews break the embargo. I can’t help but feel it is a token effort whose main purpose is to prevent a precedent. With Mark Rylance playing Olivia and, especially, Stephen Fry playing Malvolio, did they really believe the press would sit on their hands till November? But I wonder how critics from other papers feel. They have every reason to be unhappy as they played by the rules and punished for it. 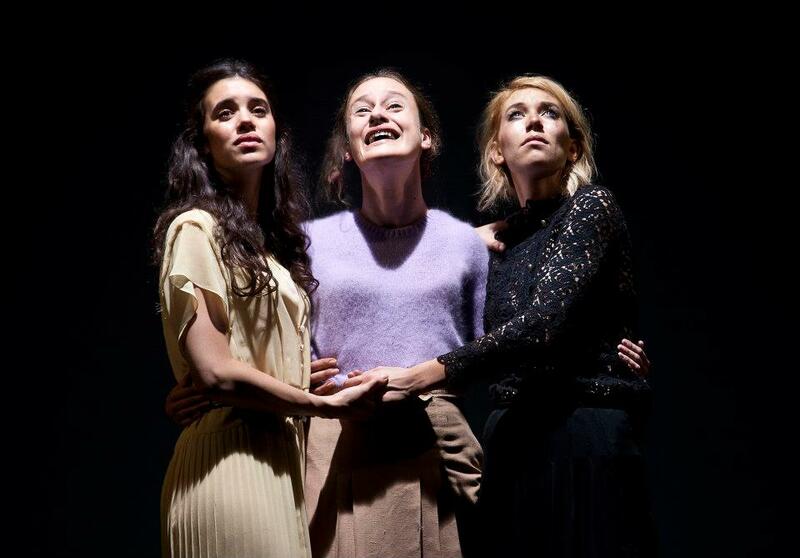 After a few weeks where my theatre consisted of Shakespeare, Ibsen, a revival of an eighties play and a Chekhov that didn’t look like Chekhov, it was great pleasure to go back to new writing. With a packed schedule and within twenty four hours, I saw four plays from four young playwrights (you are getting old when the playwrights start looking younger): first it was This House by James Graham at the National Theatre, and the next day, the Roundabout season, three plays in a single afternoon, produced by Paines Plough and Sheffield Theatres and performed at the Shoreditch Town Hall. The last Ayckbourn I saw was Absent Friends at the Harold Pinter theatre last spring. In that play, a long lost friend, still grieving for the death of his fiancee, shows up in a casual get-together. Over the course of an afternoon he becomes the catalyst of change and the cracks in the lives of three couples are blown wide open. In A Chorus of Disapproval, written by Alan Ayckbourn in 1984, a stranger, still grieving for the death of his wife, becomes part of an amateur operatic group that rehearses The Beggar’s opera. In the course of a few months, he becomes the catalyst of change and the lives of everyone in the group change for ever. When I saw Absent Friends, the increasing desperation as the play progresses made for a profound impression. 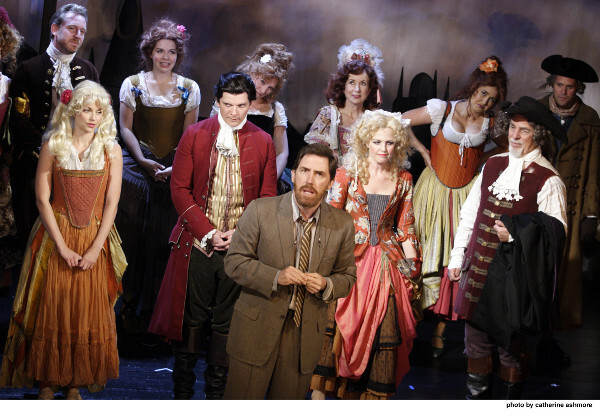 A Chorus of Disapproval, in this production performed at – can you guess? 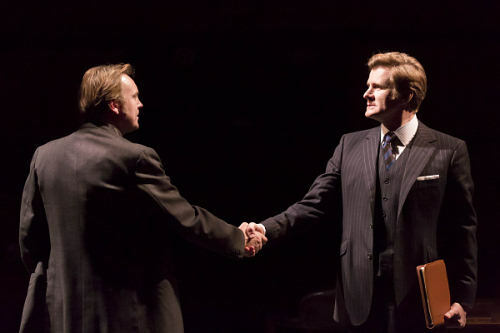 – the Harold Pinter theatre, doesn’t have the same effect, but there is still plenty to recommend. I like a production that announces itself with a bang. And This House is such a production. The energy of the first entrance, in addition to the set, both intimate and imposing – the Cottesloe never looked this huge, make a clear statement and from the first few minutes I knew this production will be something special. The next three hours didn’t disappoint. This House is set in the House of Commons between 1974 and 1979, when Labour, with a tiny majority (or often with no majority at all) was trying to hold onto power. The period has inescapable drama and Margaret Thatcher looms large: not in the choices of the characters but in the mind of the audience, we know the consequence of those choices even if they don’t. The action is largely set in the offices of Tory and Labour whips, with excursions to almost all parts of the building (toilets, corridors, basements, chapel) but we see very little of the House of Commons’ main chamber. This story is set at the bowels of power. The Cottesloe is made to look like the debating chamber but that only reinforces the point: the backstage drama is central to politics, only punctuated by the political debate. Last night, thirty minutes from the end of Timon of Athens at the National Theatre, Simon Russell Beale slipped and broke his finger. 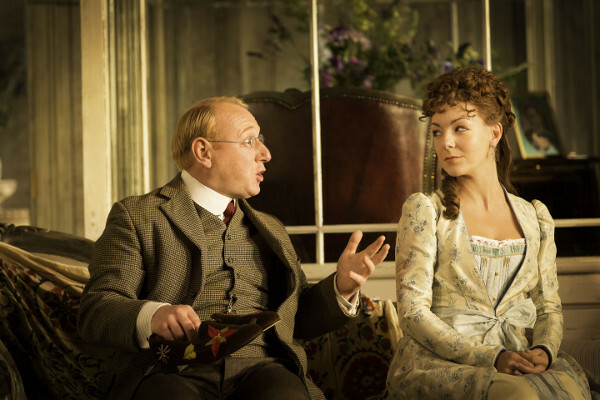 The performance was interrupted – “I’m sorry ladies and gentleman, I seem to have broken my finger” – an announcement was made by the stage manager, and ten minutes later Paul Dodds, Simon Russell Beale’s understudy, took over and finished the performance. 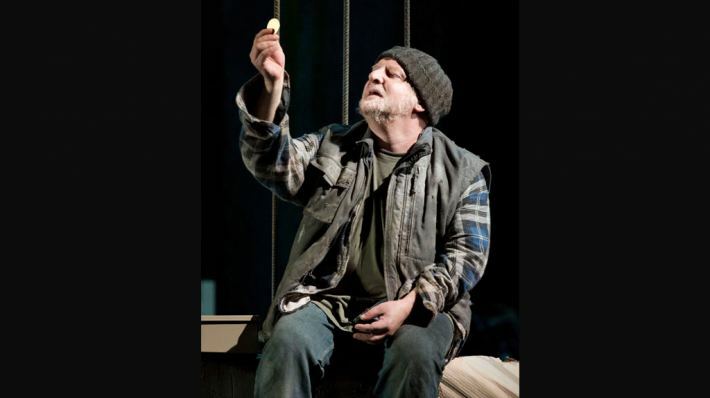 Thankfully, the injury was a minor fracture and Simon Russell Beale is back performing tonight. This is very good news, first and foremost, for Mr Beale (see what I did there, I am turning into the New York Times), the audience (I am sure Mr Dobbs was fantastic, but nobody wants the big star to go off sick for long) and me. Because I can now discuss, guilt free, my not entirely healthy fascination with injuries on stage. 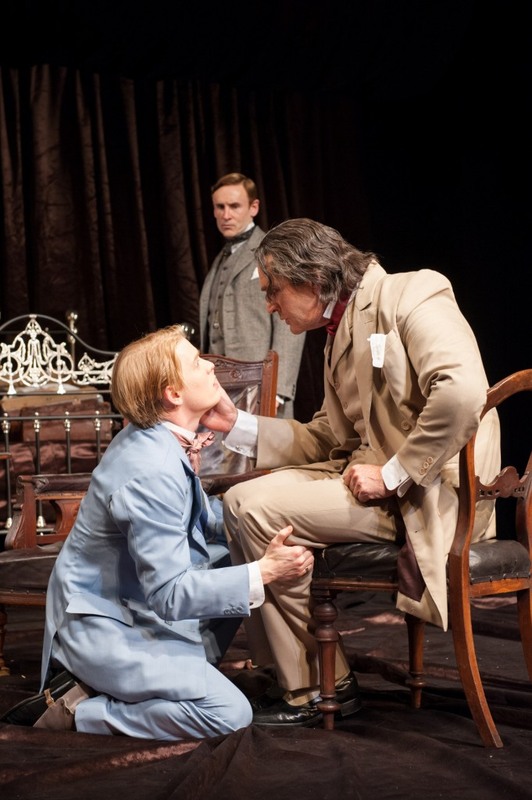 If you are a regular theatregoer, you quickly find out you are never too far away from a new Hamlet or King Lear. And as much as I initially resist buying a ticket, more often than not I succumb to the temptation of any new production. 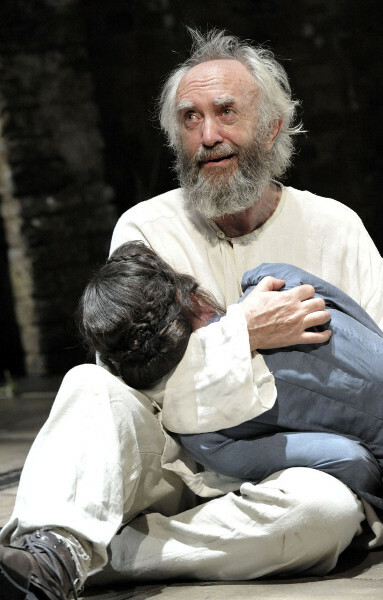 Jonathan Pryce as King Lear is an irresistible premise, and in that sense the Almeida production doesn’t disappoint. In fact, Jonathan Pryce is extraordinary. I don’t have the knowledge or inclination to compare him with other King Lears, but the fact remains I found him incredibly moving, his Lear full of “rage against the dying of the light” and increasingly desperate that he exhausts himself out of his sanity. In Act 2, Scene 4, when Lear confronts Regan about the treatment of Kent, his rage was so infused in sorrow that I felt myself going cold. This is only the second time seeing Jonathan Pryce on stage (the first time was in the Donmar production of Dimetos a couple of years ago, and I didn’t like that play), and his immediacy and emotional power alone are reason enough to see this production.